A lot of people are scared to try pizza from scratch because of the yeast and labour involved. I’m here to tell you it’s not that hard, and kneading the dough is a GREAT arm workout without having to schlep to the gym! It also allows for complete control, meaning that you can make healthier choices where toppings are concerned. Once the dough is made, you can keep it in the fridge of a couple of days, breaking off a ball as needed, or stash it wrapped in the freezer for a couple of months to thaw out when you’re ready. 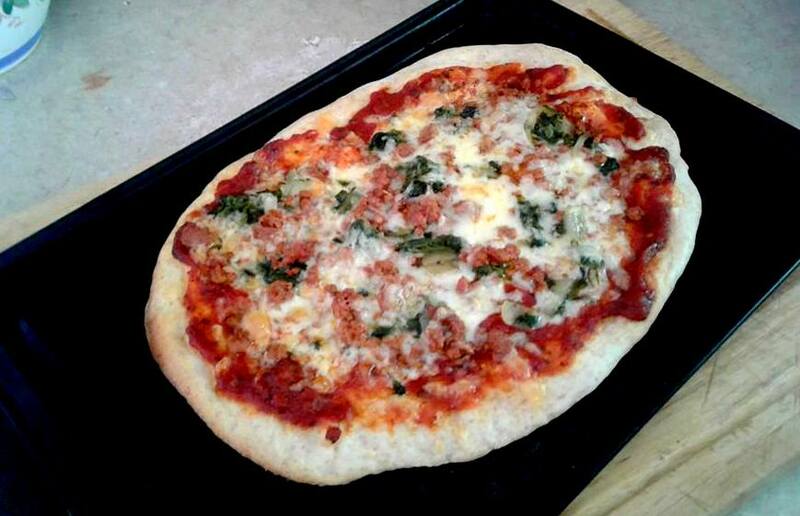 Not only is pizza a crowd pleaser, but it’s also an economical way of using leftovers. Leftover Cooked Ground Meat – I’ve even used leftover taco meat on pizza and it works great! To get the dough started, put the warm water in a small bowl and stir in the honey. Add the yeast and wait about 5 – 10 minutes. While waiting, combine the flour and salt in a big bowl. When the yeast is bubbling and rising up the bowl, pour and scrape into the bowl with the flour. Add in the Olive Oil. Mix it with your hands until it starts to form a dough. If the dough feels too dry to you, add a little more water, a teaspoon at a time. 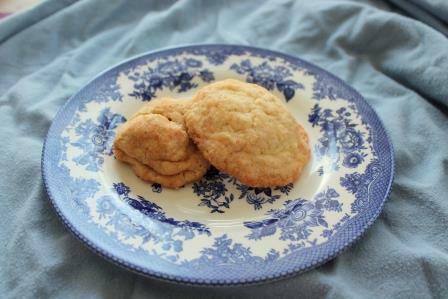 If it feels too wet, add a little more flour. Once it starts coming together in the bowl, dust a clean surface with a generous amount of flour and dump out the dough. Knead the dough for about 10 – 15 minutes. You knead the dough by squishing it in your hands and pushing it firmly against the floured surface, repeating the process and adding a bit more flour here and there if the dough starts sticking to you or your surface.The dough is ready when you can rub your palm over its surface and it feels smooth to the touch and non-sticky. Grease the large bowl with a generous amount of Olive Oil and put the dough back in it. Cover with plastic wrap or a large tea towel and put in a warm place for at least an hour to rise. If you have errands to run, now’s a good time. One the dough has risen, feel free to divide it into 4 balls and store what you need. To make the sauce, combine all the ingredients in a bowl and let it sit for 5 minutes at room temperature so they can marry. While it's doing that, take out your toppings of choice and preheat your oven to 425 0F. Take your ball of pizza dough and gently stretch it to size between your hands OR put some more flour on a clean surface and roll it into a thin circle with a rolling pin. Transfer the dough to your baking sheet. Don’t worry about it sticking. Once the pizza is cooked, it should slide off easily. Spread the sauce onto the dough using the back of a regular spoon in circular motions, leaving half an inch uncovered to act as crust. Top with a small amount of cheese and then add your toppings. This base layer of cheese keeps the toppings from making the crust too soggy. Top with more cheese as desired. Bake for 10 to 15 minutes or until the crust is lightly browned and the cheese is melted. Let it cool for 5 minutes so it’s not napalm-hot and enjoy! After a long hiatus to settle some health crap, I’m back Baby! And I’m ready to teach you all the great recipes and techniques I can to make 2018 a little tastier and a little healthier while still making cooking a lot more fun! Today, I want to teach you a recipe for Valentine’s Day! 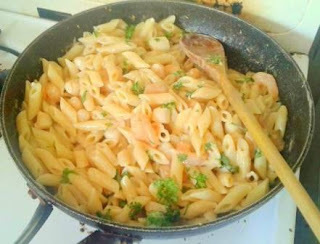 Since last year I did sweet, this year I’m going savory with a delicious creamy shrimp pasta! This dish is not only impressively tasty but you can have it on the table for your loved one(s) in 30 minutes without the exorbitant restaurant price! 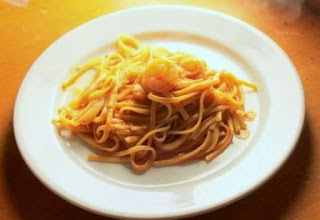 1 box of Pasta of choice – 375 g - Angel Hair cooks fast but Linguine works great too! Season the shrimp with oregano or basil, salt, pepper, and chili flakes. Start getting your pasta ready. Heat 1 Tablespoon of Olive oil in a deep frying pan and warm - if the shrimp are already cooked - OR - cook the shrimp JUST until they turn pink. Turn off the heat for a second and transfer the shrimp to another bowl for a bit. Heat the same pan again and add the remaining Olive oil and butter. Add the clam juice or white wine and simmer for a minute. Add the ground tomatoes or Sauce and whisk to combine. When it starts to bubble, whisk in the cream until well combined. Add the freshly cooked and drained pasta and the shrimp - adding the shrimp last will keep them from overcooking.